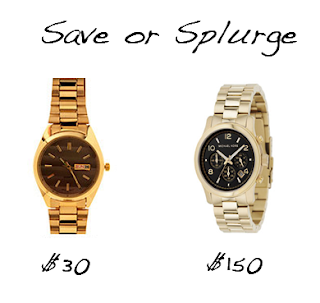 Splurge (pronounced “splərj”) is a funny sounding word. It seems like a word you might hear in a cartoon. In reality, splurge is an informal verb meaning to spend (money) freely or extravagantly. To splurge on something is to spend a lot of money to buy it. - It was our anniversary so we "splurged" and ordered champagne and lobster for dinner. - Ava "splurged" on fresh roses even though they last only a few days. - The girls "splurged" and bought the most expensive tickets to see the Rolling Stones in concert.